Bulgarian Socialist Party leader Sergei Stanishev claimed victory in the parliamentary elections on May 12, urging quick talks with other parties to form a new government that would exclude the party of former prime minister Boiko Borissov, GERB. Stanishev said that his party would seek dialogue with the other parliamentary-represented parties to find common ground and agree a joint programme that would seek to fix Bulgaria’s economic woes. The goal was to “cleanse” the country of GERB’s influence, he said, ruling out any coalition with Borissov’s party. “It would be an offence and humiliation for the dignity of all Bulgarian citizens if GERB was to be acknowledged as the political winner of this election,” he said. Stanishev blamed the caretaker government, led by Prime Minister Marin Raykov, for poor organisation of the snap election, saying that it opened the door for GERB to stay in government. However, the party would accept the results in order to prevent further instability, he said. “We were witness to a scandalously poor organisation of election day, this led to chaos and an enormous number of electoral violations. Without precedent, the caretaker government, the reserve team of Boiko Borissov and GERB failed both the organisation of the vote and the vote counting,” Stanishev said. Stanishev, who was prime minister between 2005 and 2009, said during the campaign that he would not seek the job again. Instead, the party nominated former finance minister Plamen Oresharski as prime minister. Concerning the economy, Stanishev emphasised the importance of increased state “activity”, including “the immediate end to racketeering of the small and medium businesses”, government support to increase youth employment and a programme to “re-industrialise Bulgaria”. 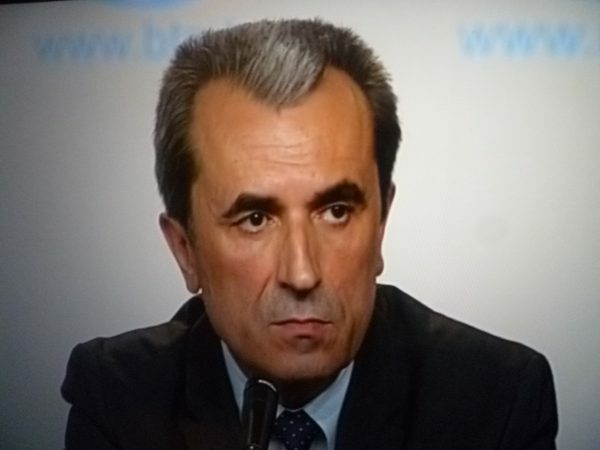 He declined to give a time estimate for pursuing such measures, saying that the caretaker government did not offer enough data about the current situation of Bulgaria’s economy.